« Exposé: Are any Cheap Mezuzos Perfect? 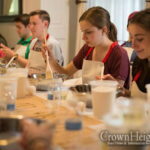 As Jewish immigration from Eastern and Central Europe rose in the last century, scores of traditionally Jewish foods slowly creeped into mainstream American culture. One such sample: That braided, doughy bread known simply as Challah. 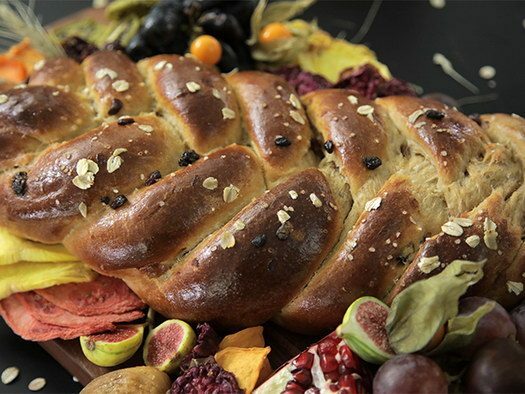 Challah is a simple dough made from eggs, water, flour, yeast and salt, and typically braided from three strands to form a sweet, golden loaf. Challah is served to celebrate the Jewish Sabbath and Jewish holidays. 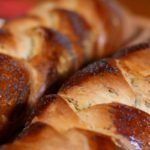 In this challah recipe, Rochie Pinson, acclaimed cookbook author and motivational speaker, adds a unique fruity twist to the traditional loaf, in celebration of the Jewish New Year for Trees which is commemorated this year on Monday, January 29. The Jewish New Year for Trees, or Tu B’Shvat (the 15th day of the Jewish month of Shvat), commemorates the end of the rainy season in the Mediterranean region, and was used in ancient Temple times to mark the beginning of the new tithing season. Today, it is celebrated by Jewish communities worldwide as a symbol of sensitivity to the environment, spiritual growth, and attachment to the land of Israel. 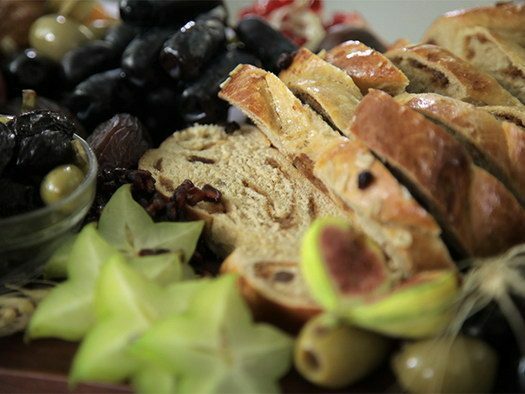 Tu B’Shvat is typically commemorated by partaking in the unique fruits ascribed in the Bible to Israel: Wheat, barley, grapes, figs, pomegranates, olives, and dates. 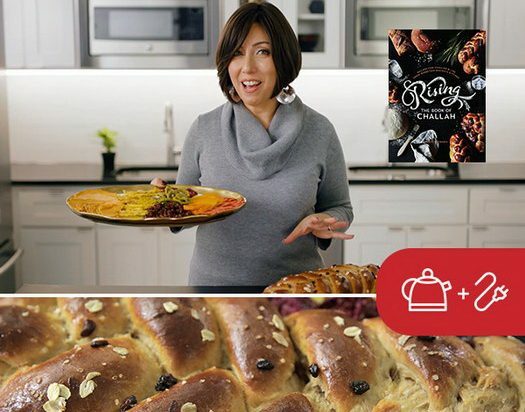 Kettle & Cord, a homeware store in Crown Heights, Brooklyn, is host to a premier Kosher cooking show hosted on YouTube. 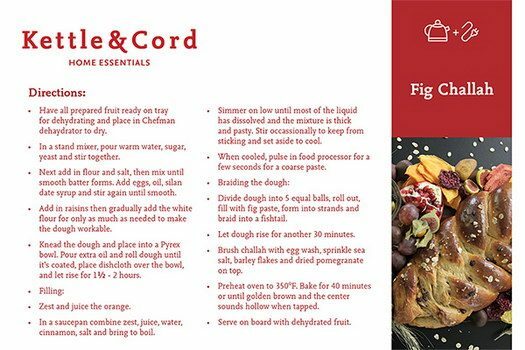 Collaborating with celebrity Kosher chefs, the Kettle & Cord kitchen presents the latest in Kosher cuisine in an interactive and entertaining format. 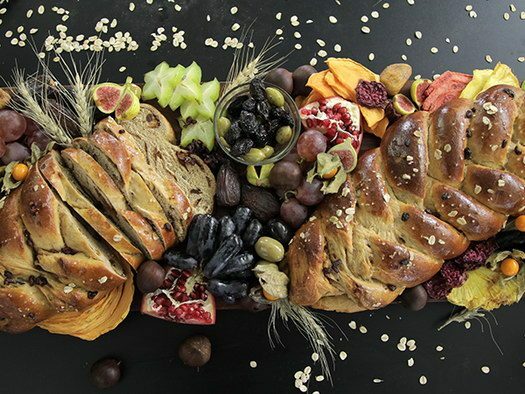 This fruity Challah recipe incorporates all the seven kinds in celebration of Tu B’Shvat. 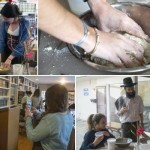 Watch below as Pinson demonstrates her Tu B’shvat fig Challah.